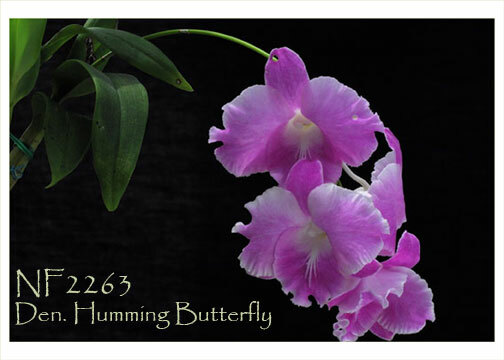 An exciting new “butterfly-type” Dendrobium hybrid created with the famous chance mutation of Den. Ekapol ‘Butterfly’ ! These plants are more compact growing and bear large, up to 3.5”, long-lasting flowers with heavy substance. 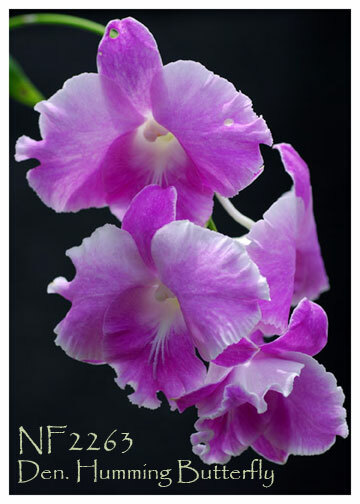 Being a hybrid seedling population, there is a chance that some of these seedlings will flower as normal pink Phalaenopsis-type Dendrobiums which are still very attractive. But that’s also a great reason to flower more than one ! Highly Recommended ! , note : mini growing habit for type.